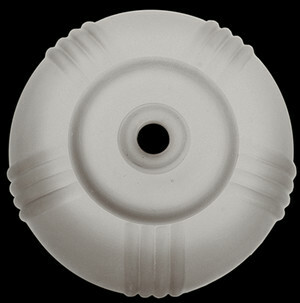 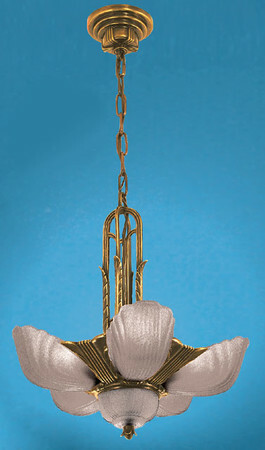 Chandelier comes with 5 frosted white slip shades & 1 bottom shade. 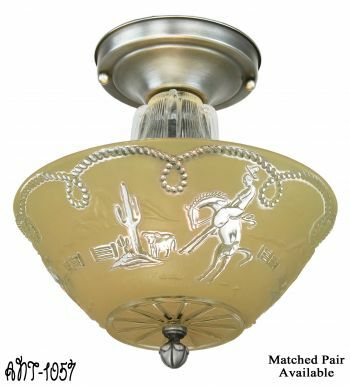 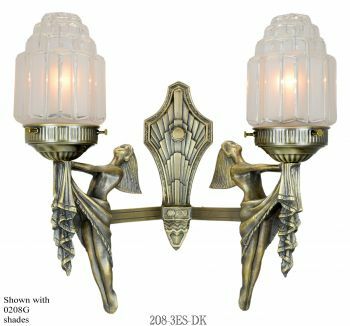 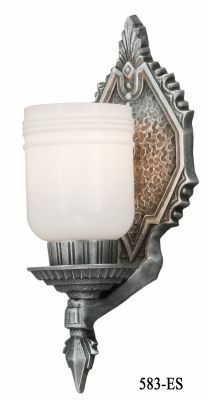 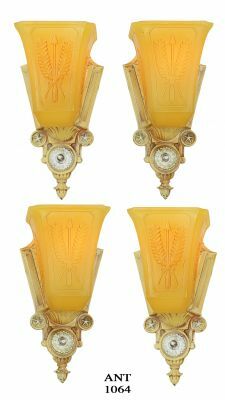 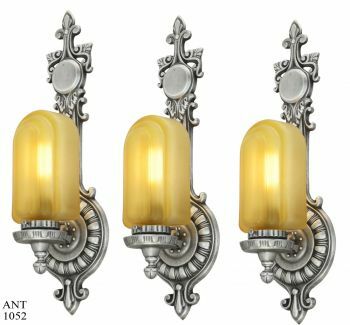 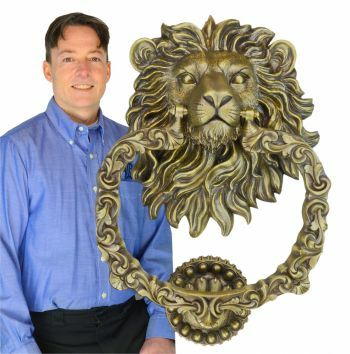 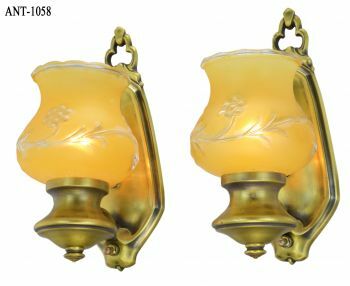 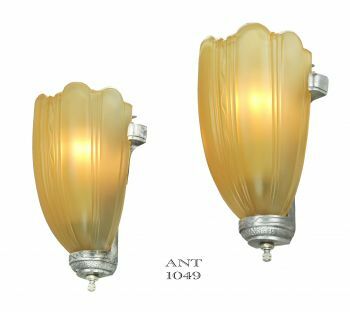 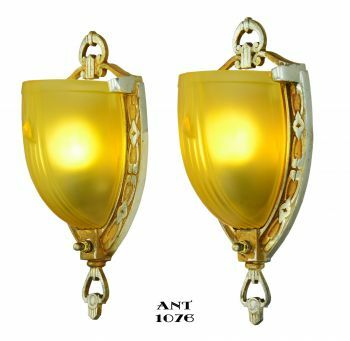 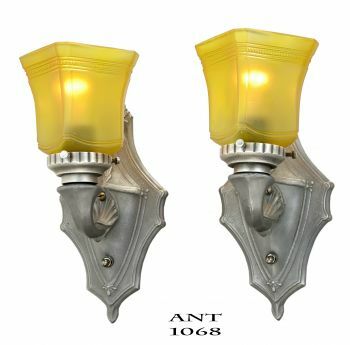 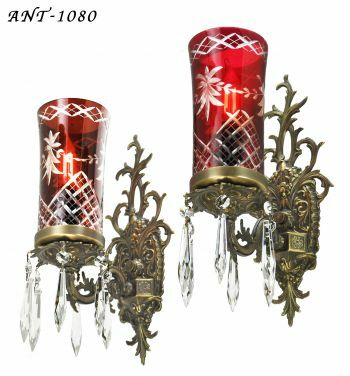 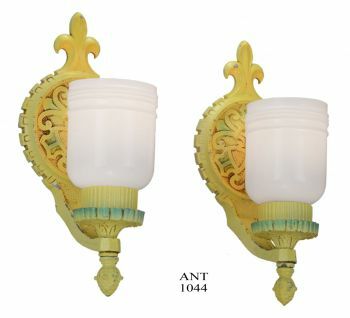 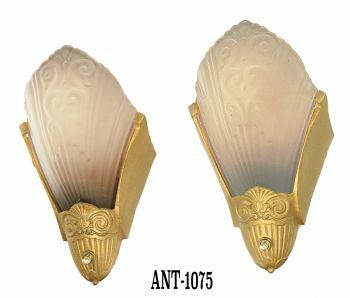 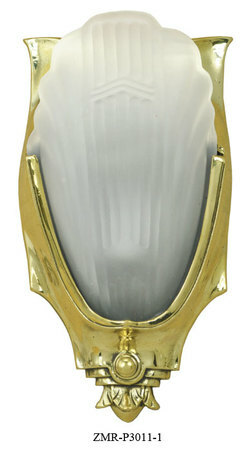 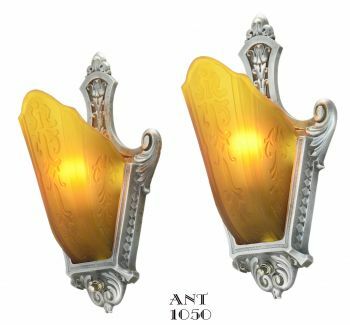 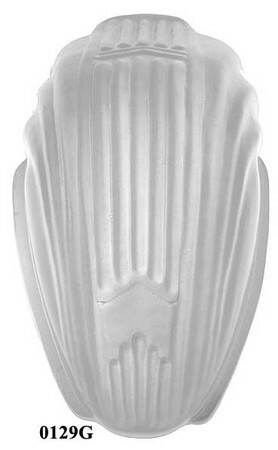 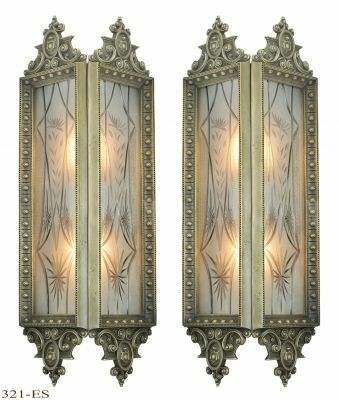 Matching frosted shade wall sconces are also available. 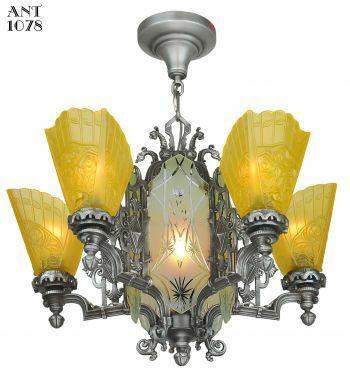 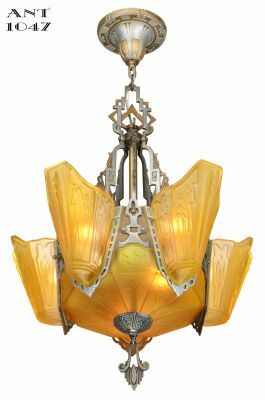 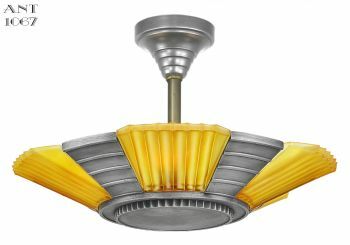 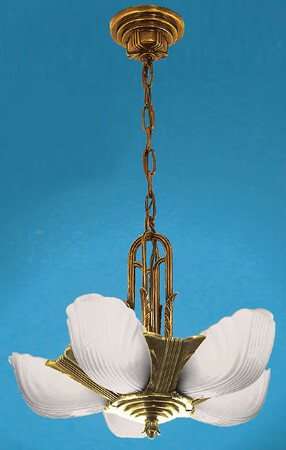 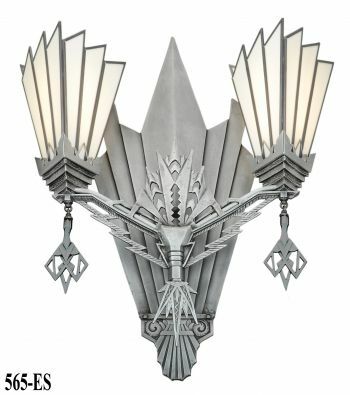 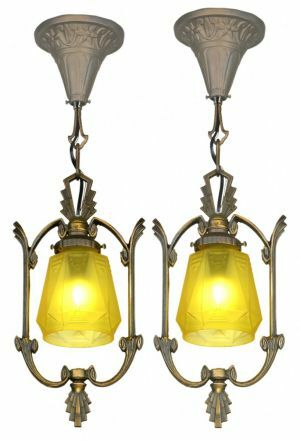 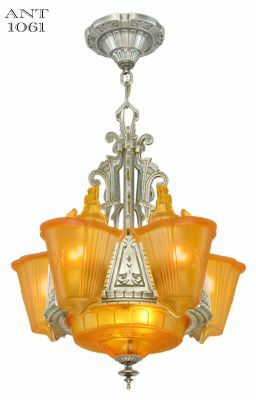 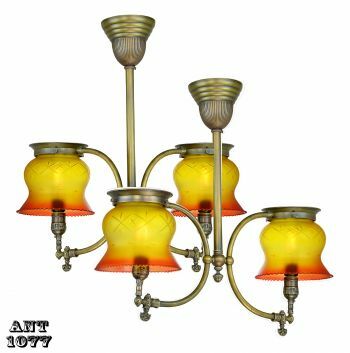 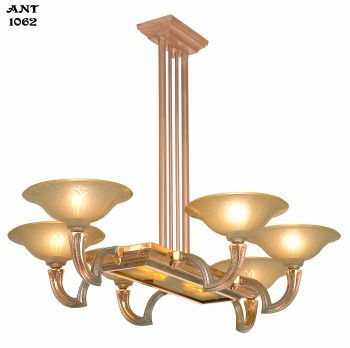 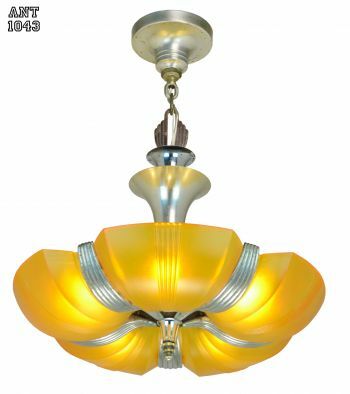 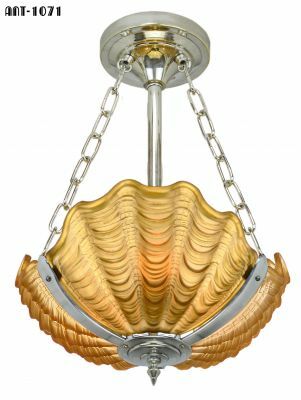 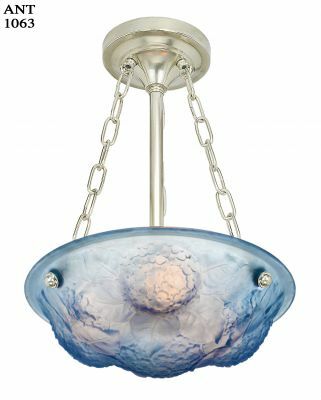 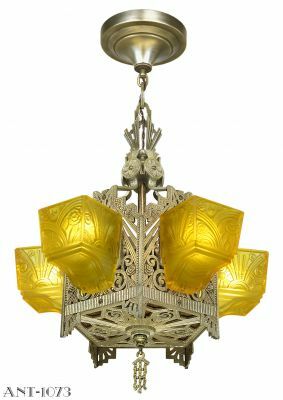 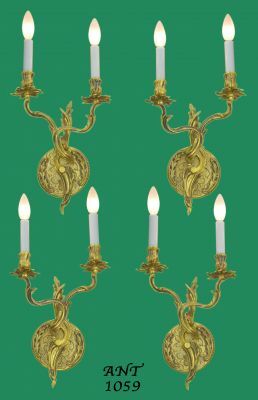 This six shade chandelier is also available with amber shades or painted brown & white shades.